Fiction – paperback; Penguin Modern Classics; 176 pages; 2009. Review copy courtesy of the publisher. Put the kettle on, grab yourself some snacks and make sure you’ve got no other plans when you curl up to read this book, because We Have Always Lived in the Castle is one of those delicious, atmospheric reads from which you will not want to be disturbed. How could you not be intrigued by that? If anyone else came in and sat down at the counter I would leave my coffee without seeming hurried, and leave. It’s almost like whichever way Merricat turns, there’s an insidious, nasty reminder that she, and her family, are not wanted. But what did they do to earn this hate? The answer to this is the nub of the novel, so I’m not going to tell you here. But essentially, the secretive, hermit-like existence that the Blackwood’s lead is disrupted when Charles, a long-lost cousin, makes an unexpected visit and settles in for the duration. Merricat, a wayward, naive and some might say decidedly kooky teenager, feels so threatened by his presence that she goes out of her way to make him feel particularly unwelcome — with intriguing consequences. As much as I enjoyed this book and the oppressive, Gothic atmosphere it creates — think The Village of the Damned meets The Wicker Man — I did guess the main revelation before the half-way point. But even so, this is a thrilling read, and I can easily see why Shirley Jackson has never been out of print in her native America. It’s not a horror story per se, because it won’t have you checking underneath the bed for monsters, but it’s a kind of twisted fairytale with a dash of black comedy and a pinch of mystery. Or, as Joyce Carol Oates claims in the Afterword, “We Have Always Lived in the Castle becomes a New England fairy tale of the more wicked variety, in which a ‘happy ending’ is both ironic and literal, the consequences of unrepentant witchcraft and a terrible sacrifice — of others”. I thoroughly enjoyed this wonderful Gothic read and bless Penguin for reissuing it here! I was, however, miffed at the spoiler blurb you mentioned from the back cover and it did ruin (a little) the suspense building up to the first revelation at the end of chapter 3. The main revelation I also guessed myself but I think we were supposed to. Shirley Jackson is most definitely a welcome discovery for me this year and I have The Haunting of Hill House lined up for Hallowe’en. Hi Claire, if you think the blurb was bad at providing a key plot spoiler, you should see the press release about the book! Apparently this has been made into a play; I think it would make a terrific film. I’ve got The Haunting of Hill House to look forward to, as well. This seems to be causing something of a book blogger craze at the moment and I am shortly to follow suit if the post ever delivers the Amazon package I have just ordered! It could be here after Christmas but none of the new stores I have been to have it! 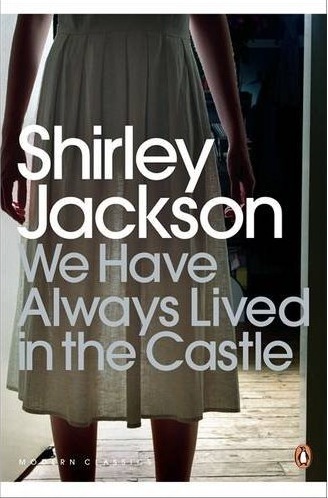 The Haunting of Hill House is a favourite of mine, but I’ve not read anything else by Shirley Jackson. Perhaps I should take advantage of this reissue… or from the sounds of it, maybe I should try to track down a copy with a different back cover…? Really? I haven’t seen it on anyone else’s blog, but mind you I haven’t looked at many book blogs this weekend, because I was away. According to the press release it’s not officially published until the end of the month, so maybe that’s why you haven’t seen it in the shops? I have noticed that Amazon is selling it, so not sure how that works. Just don’t read the back cover, Rob! Mind you, I did, but it didn’t exactly spoil the plot and actually made me more curious to read it. However, having read the book I can see how it might ruin the experience for others who simply want to read the story without knowing ANYTHING about it. Thanks for saying it isn’t a horror story, as it’s the only thing keeping me from reading it. I loved the first lines, but admit I can’t read anything truly creepy as I literally get nightmares and have sworn to stop reading them. However, “twisted fairytale with a dash of black comedy and a pinch of mystery” is just right up my alley! Hi Claire, I seem to be on a Gothic read roll at the moment, more by accident than design, and I reckon this one is in the same vein as Kelly Link’s Pretty Monsters, which I loved. I have thoroughly enjoyed reading these Shirley Jackson classics and plan to make it an annual event. The New York Review of Books had Joyce Carol Oates writing a piece on Shirley this month (or was it last?) – so I think that’s where the Jackson Revival is coming from. I’ve been reading her for years – and actually have an edition of Hangsaman, one of her lesser known books that I’ve been saving (since, you know, she’s dead and won’t be putting out anything new). Maybe now’s the time. Kimbofo, if you enjoyed Merricat you’ll love Hill House. It is much much creepier. (Don’t be fooled by all the horrible movies that were made out of it)! Also, The Sundial was very good. In a different way though. Her writing reminds me a lot of Patrick McGrath (or vice versa). I really want to read this! I became interested in Jackson after reading one of her family memoirs, Life Among the Savages, which is a hilarious read. I couldn’t believe someone who could write so amusingly was also the author of gothic chillers, AND a sufferer from severe mental disorder. So I got hold of her biography which I also hope to read soon. I really want to read this. I can’t believe my library doesn’t have it! I rather suspect the Joyce Carol Oates piece is the Afterword which comes with this edition. The revival is largely due to Penguin republishing Jackson in the UK – apparently she’s been out of print here for quite some time, but never been out of print in the USA. I started Hill House today, so stay tuned for a review coming in the next week or two. The comparison with Patrick McGrath is an interesting one. I guess he’s known for his Gothic fiction, so perhaps he’s a Jackson fan? I’m reading Hill House now, so once I’ve posted my review I’ll be sure to drop by and see what you wrote. She has a memoir?? Excellent. I have a bit of a “thing” for memoirs by writers, so I’ll be sure to hunt it out. It sounds terrific. Thanks for tipping me off about it. Perhaps she’s out of print in Canada, too? Might explain the fact your library doesn’t have it. I really enjoyed this one – it was deliciously creepy! I haven’t read anything else by Jackson yet but I definitely plan on it. Great review! I’m mid-way through The Haunting of Hill House, which is more of a classic horror story and way way creepier! I haven’t read McGrath’s recent work, but his first four novels would definitely have a Gothic feel to them. I was particularly thinking of The Grotesque and Spider. I have a copy of Spider in my TBR, so am looking forward to reading it at some point. “We Have Always Lived in the Castle” is one of my all time favourite books, a fantastic atmospheric reading experience and so superbly written. I recently reread it myself and I am pleased it has finally been reissued – as a Penguin Modern Classic no less. I can now relax and perhaps lend out my precious old copy again. I’m amazed at how many people say they love this book, and yet I’d never heard of it until a couple of weeks ago. I can quite easily see why so many call it at an all-time favourite. I reckon this will be one book I’ll easily read again.